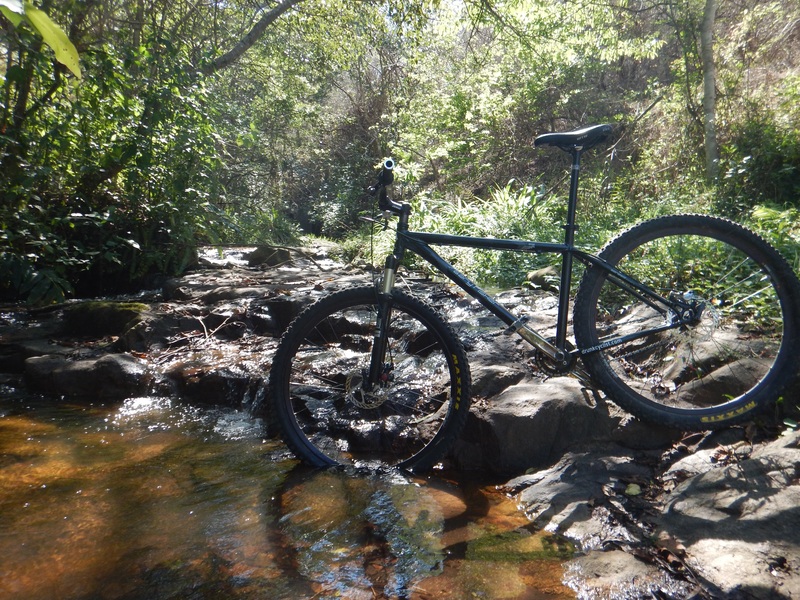 I was able to spend quite a bit of time at the Giba Gorge Mountain Bike Park since it was not too far from where I was staying in Durban. 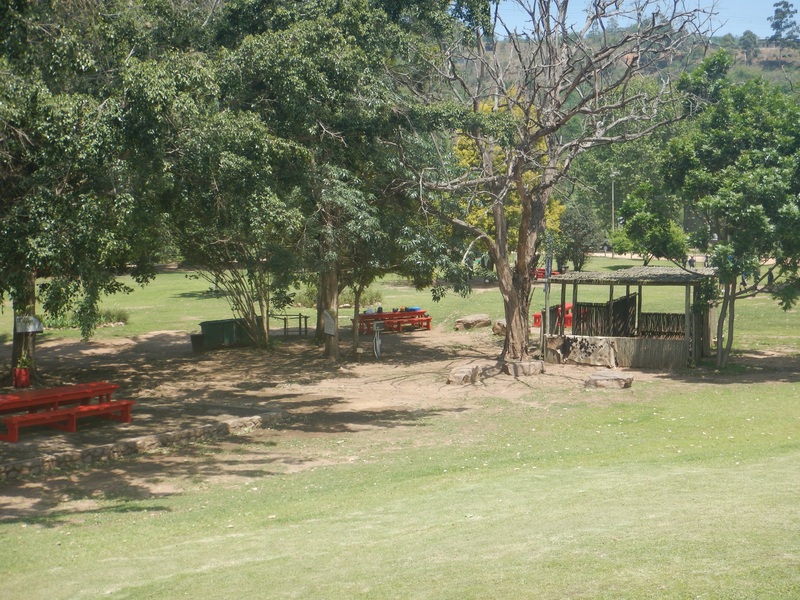 The park itself was great and is really geared towards families. 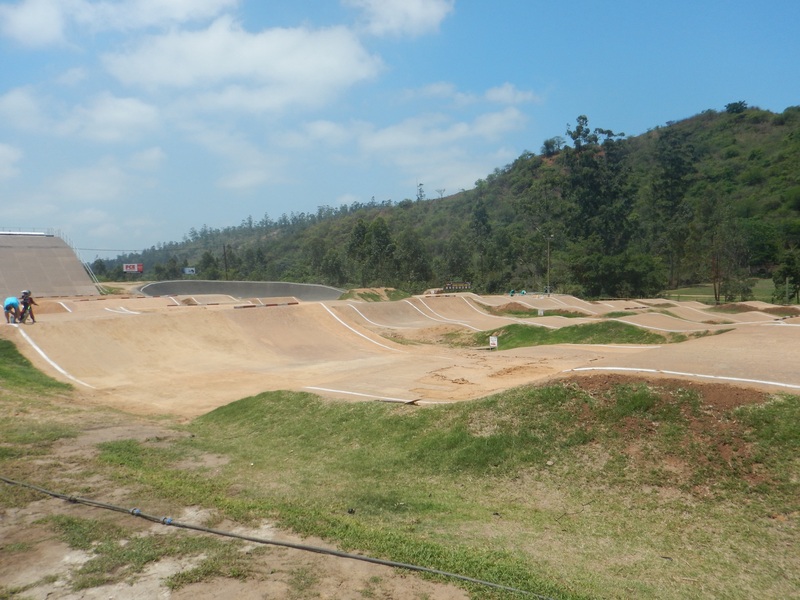 Located on the grounds is a cafe, bicycle shop, bmx track, a small pump track, and various mountain bike routes. 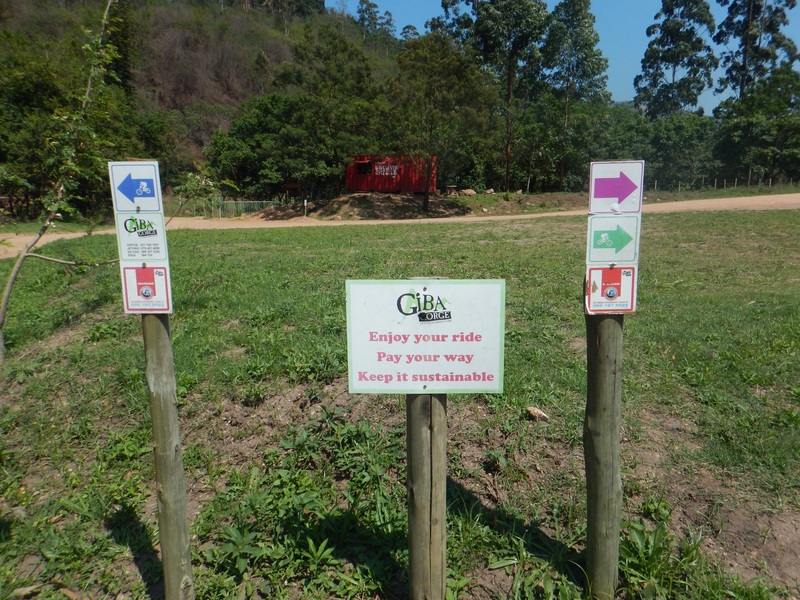 There is an entry fee to the park of R50 ($5) or you can buy a yearly membership. 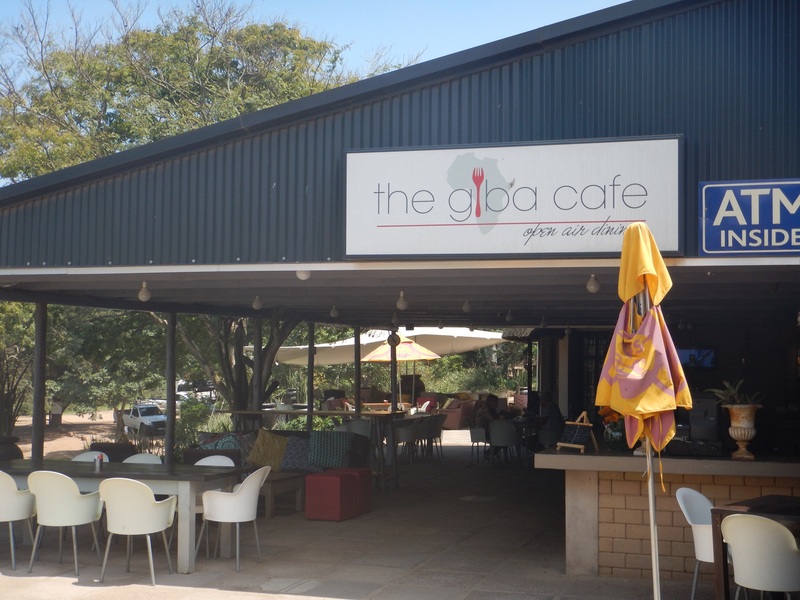 Giba Gorge is located inside a valley and this is where all of the mountain biking takes place. 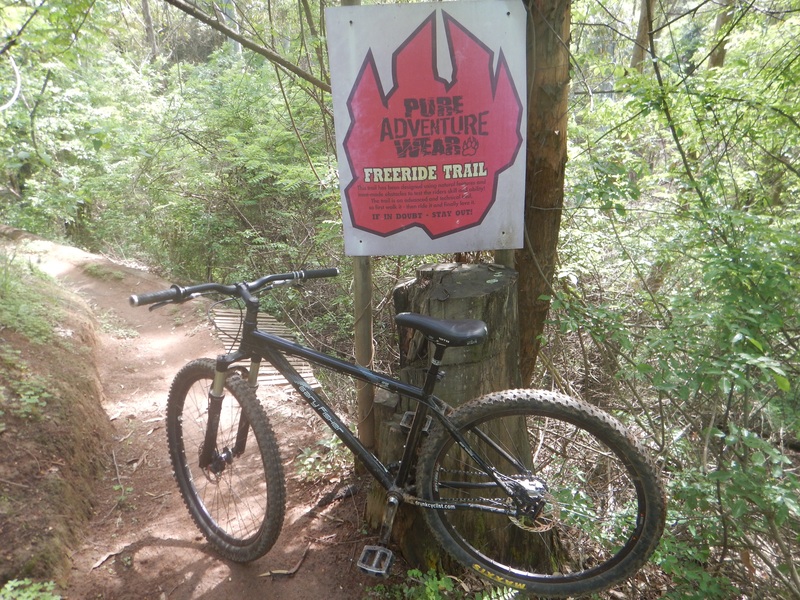 There are three single track XC trails, an enduro trail, downhill trail, and adventure park. 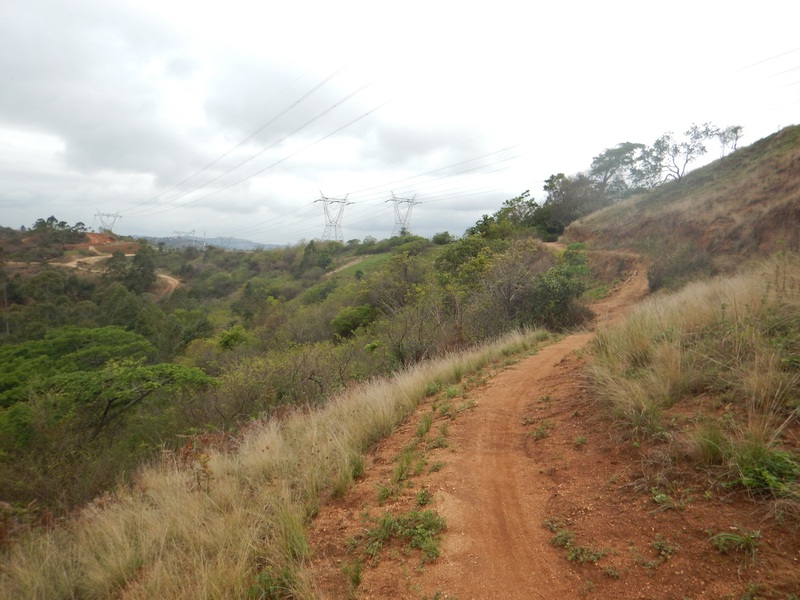 The enduro and downhill trails start from on top of the valley ridge and end back by the Giba Cafe. 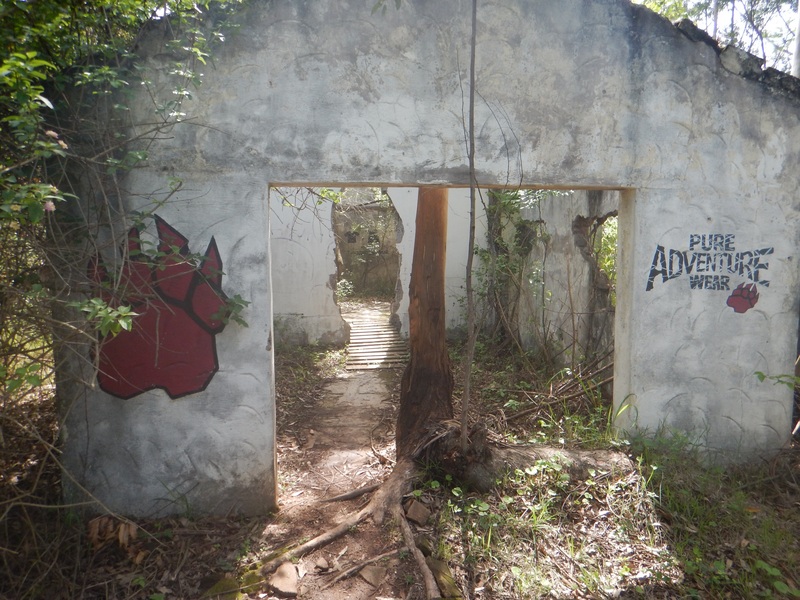 For the adventure park, it is linked into one of the XC trails as well as other various ways to get there. Having three XC trails is great and they are all color coded starting from the cafe. The purple route, green route, and blue route which are easy, medium, and hard. 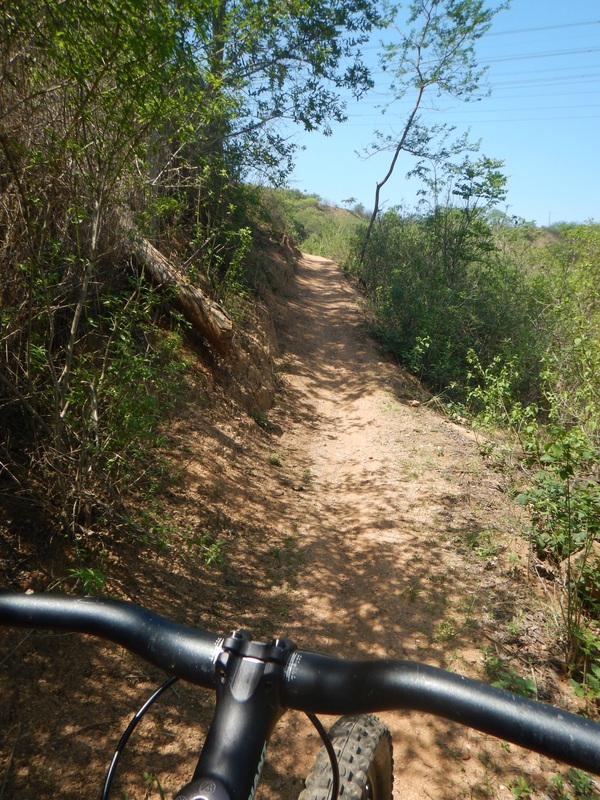 For the purple route, it is flat terrain and great for beginners or a warm up ride. 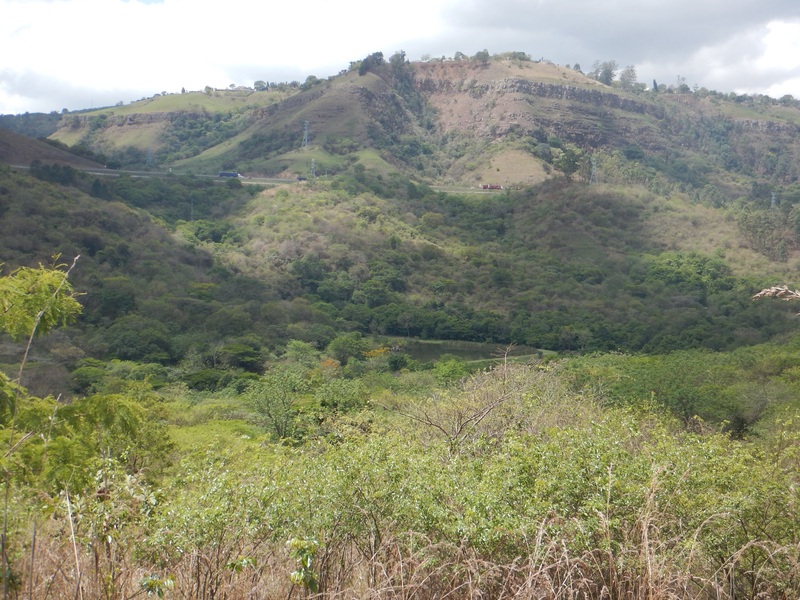 It is 5km (3mi) long and is an out at back that has a small pond and waterfall where the turn around point is. The green route is a little more difficult and makes an 11km (7mi) loop counter clockwise up and around the valley walls. 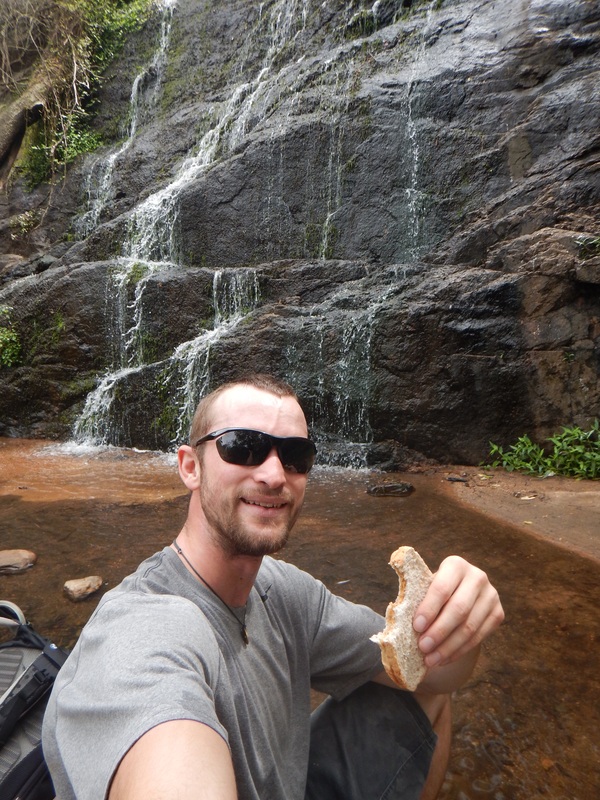 This is a very fun loop and takes just under an hour to accomplish with a total elevation gain of 205m (672ft). 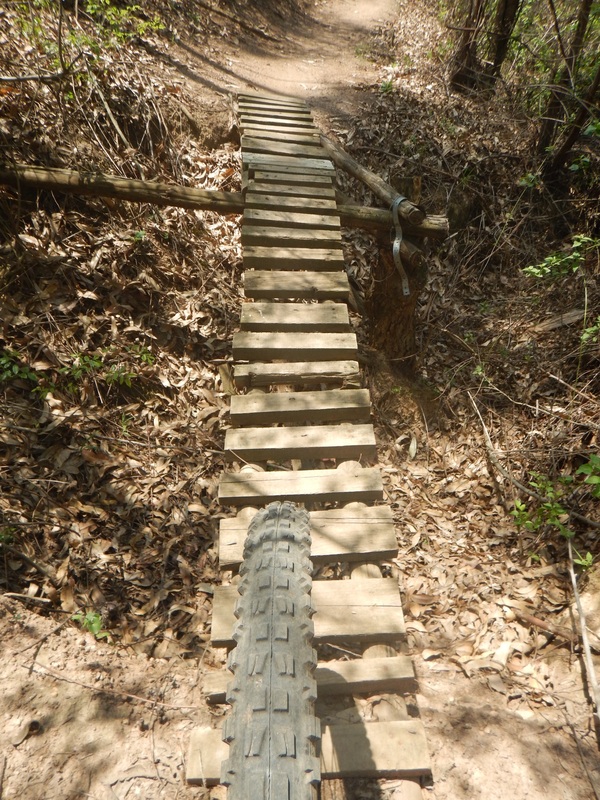 Starting with a short climb, the trail then flattens and goes downhill a little before climbing again. After reaching the peak of the climb, the trail drops down into some fun and flowing single track with a couple stream crossings. Two-thirds of the way through the route, it starts to climb again from the valley floor before finishing with a descent back to the cafe. This route is a blast to ride and I really enjoyed the smooth flowing descents. The blue route which is the most challenging of the three routes is 17km (10.5mi) in length. It starts with a tough switchback climb to the very top of the valley wall. 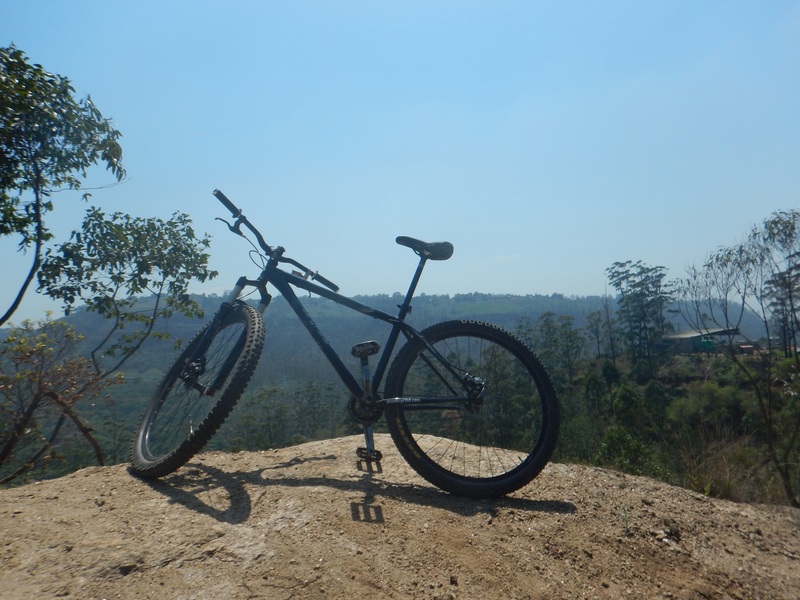 Once on top, you cruise for a few minutes while passing some downhill obstacles. Then it is time for the descent which snakes through the valley walls with great views along the way. After having a good descent down, another climb comes up and before you know it you’re at the top looking down into the valley again. 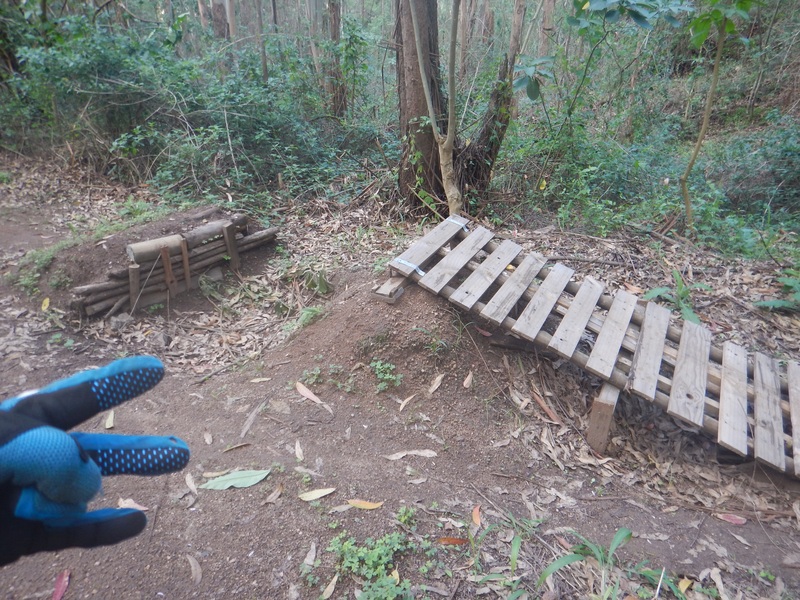 This is where the adventure park starts and contains jumps and other fun obstacles. Finishing the blue route which is ridden clockwise, ends right outside the front gate. Total time for this route is about 1 1/2 hours and contains 374m (1,227ft) of elevation. 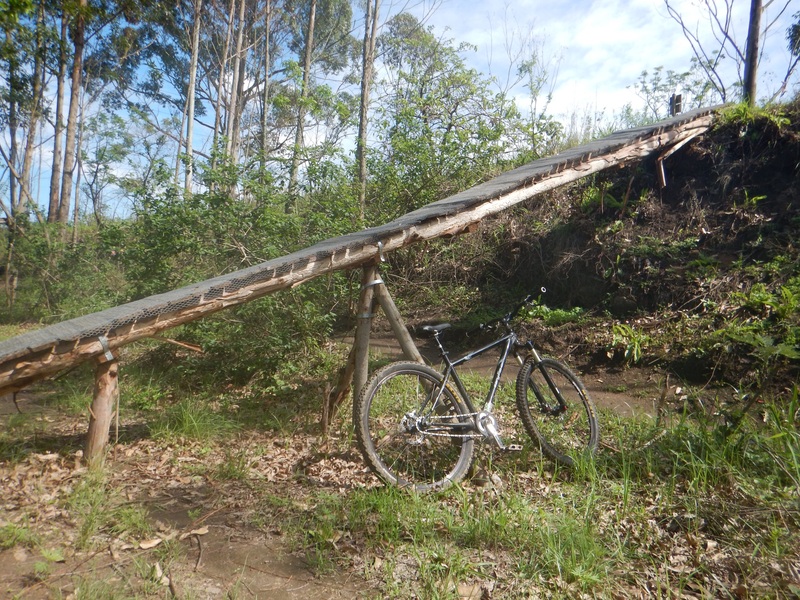 This is a great bikepark with some very fun single track that is very well maintained. 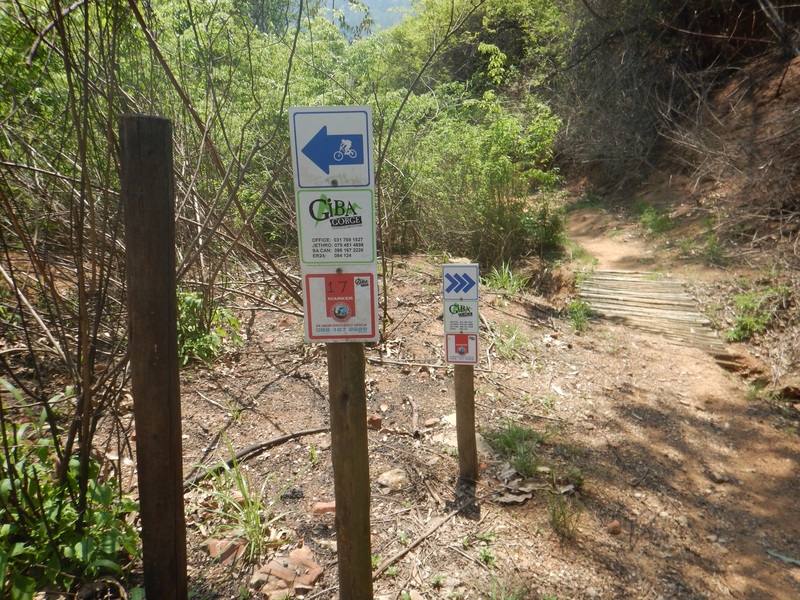 All of the trails are directional and are marked by arrows. Alternate routes are also marked to show an easier path around an obstacle. The downhill and enduro courses are a blast and contain burms, jumps, and fast descents. 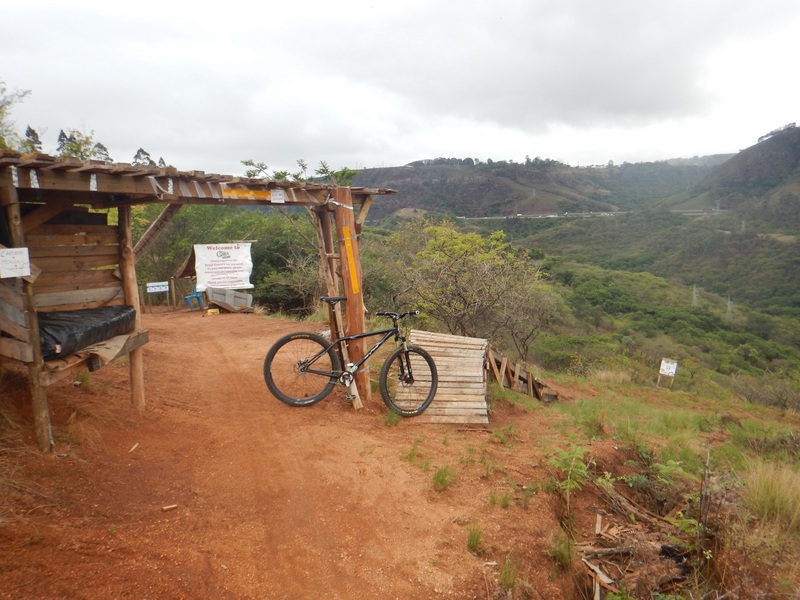 Overall, I would highly recommend riding here in the Durban area. Ill take the green rout to start! That route was a blast! It definitely had some really fun single track.